Basic drivers and pedestrians beware, Cardi's got a brand new car. The level up for Cardi B this year keeps getting better and better. 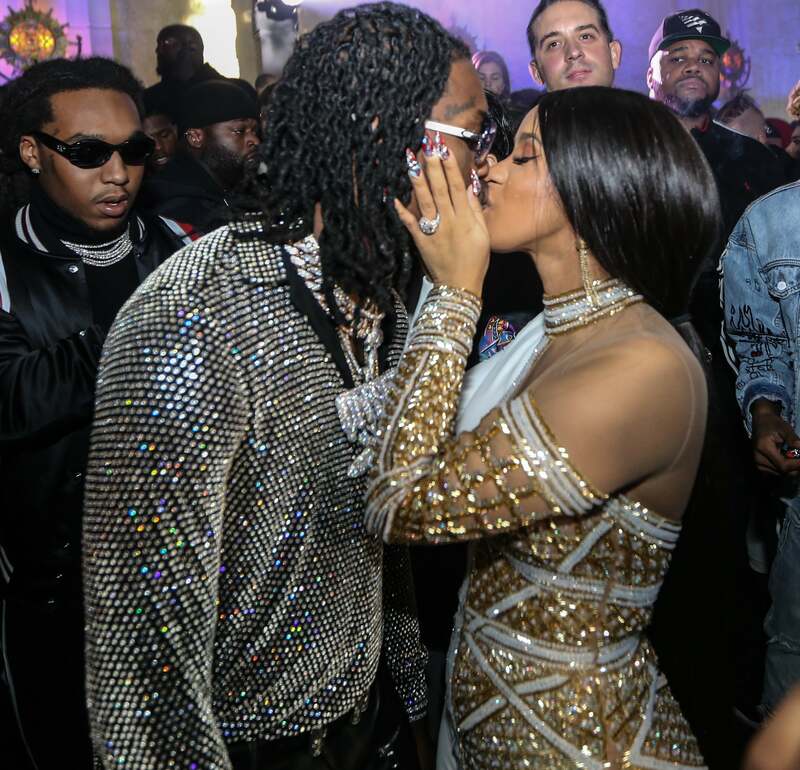 As if the magazine covers, awards, record breaking hits, and even the birth of daughter Kulture weren’t enough, the Bronx bred rapstress just received a birthday gift from her hubby, rapper Offset, that’s better than anything you’ve got on your wishlist. Last night Cardi, whose birthday is October 11, had the shock of her life when Offset surprised her with a brand new Lamborghini SUV — and she doesn’t even know how to drive! In a series of Instagram posts, Cardi could hardly contain her joy as she explained that the car was part of an elaborate surprise that involved the rapper ditching plans to fly to L.A., and heading to Atlanta after receiving a call that Offset had fainted. The soon-to-be birthday girl told followers that the moment made her feel as if she wanted to “make love and fight at the same time.” Then, in true Cardi fashion, the rapper dispayed a suitcase full of Balenciaga sneakers she bought Offset in Paris, but felt the gift was a bit basic in comparison to a luxury car and kicked it closed. Something tells us that both she and Offset were happy with their gifts that night. Happy early birthday Cardi B!